Church Resources is pleased to introduce Capital City Mazda and their complete range of Mazda vehicles to Church workers and organisations in New Zealand. have your new vehicle delivered to a Mazda dealer near you. It’s your car and it’s a hassle-free way to own a car. 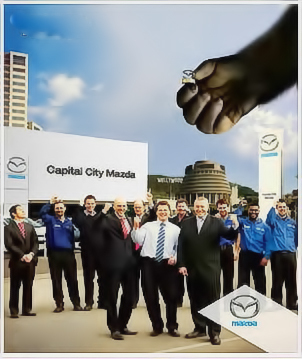 The Church Resources deal is exclusive to Capital City Mazda, and where-ever your Church organisation is, Capital City Mazda will deliver your car, to a Mazda dealer in New Zealand nearest to you. Interested? Make further enquiries about a new or use vehicle.